On a day in late January 2017, I land in Yangon, the former capital of Myanmar, one of the last countries to open up in Asia after 50 years of isolation under the rule of a military junta. I’m only in Yangon for 12 hours before leaving for a five-day expedition across the Arakan Mountains, in western Myanmar (formerly known as Burma). Despite being relatively new to tourism compared to other Southeast Asian countries, in Myanmar, the heat is on. The much-touted places to visit — Yangon, Mandalay, Bagan and Inle Lake — are on the standard schedule. But I want to be taken off-piste. It is that curiosity about the unknown with all its challenges that drives me to a forgotten part of this still exotic country. “We are having some trouble with the immigration officer”, says Khai, the leader of the expedition and our local guide, after we’ve flown from Yangon followed by 13 hours travelling by car from Bagan. We are in Matupi, one of the townships of Chin State, on the border with India and Bangladesh, where foreign travellers were not allowed during the years of the closed military regime. However, since the 2015 elections, it’s possible to apply for a special permit from the central government to visit the area. We have our logistics well organised in advance, but without any further explanation, permits to the region like ours, approved a few weeks ago, are suddenly revoked. 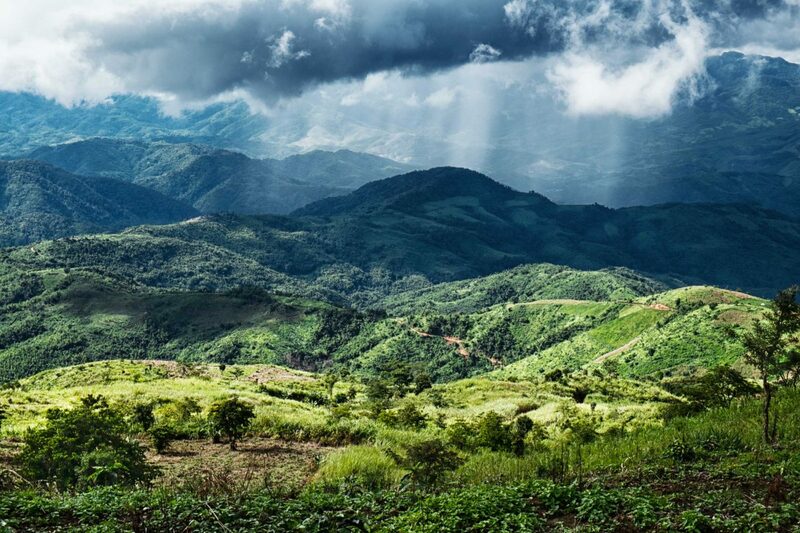 Wild, mountainous and remote, Chin State is Myanmar’s poorest and least populated region, with 75 per cent living below the poverty line. It is home to the only ethnic group in this prevalently Buddhist country that has adopted Christianity. The Chins are a double minority: they are neither Buddhist nor Burmese. 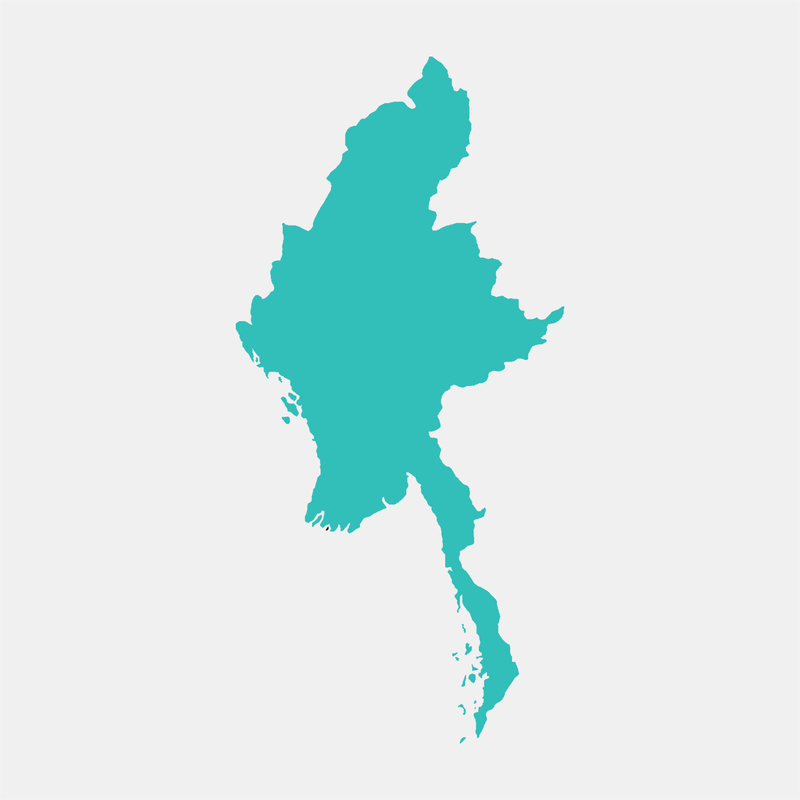 With brutal discrimination, they have been one of the most persecuted groups in all of Myanmar. The abuses include extrajudicial killings, torture, forced labour, religious repression and sexual harassment. The result is many have fled to neighbouring countries — such as India, Malaysia and Thailand — in search of a decent life. Thanks to Khai’s connections, though, our permits are soon validated. Max, my better half, and I are accompanied by a five-member crew, who will be with us for the next three days, transporting our supplies and driving us across the most remote parts of the Chin State. This is far from a typical trip to Myanmar. The first part of the expedition is conducted entirely on motorbikes. 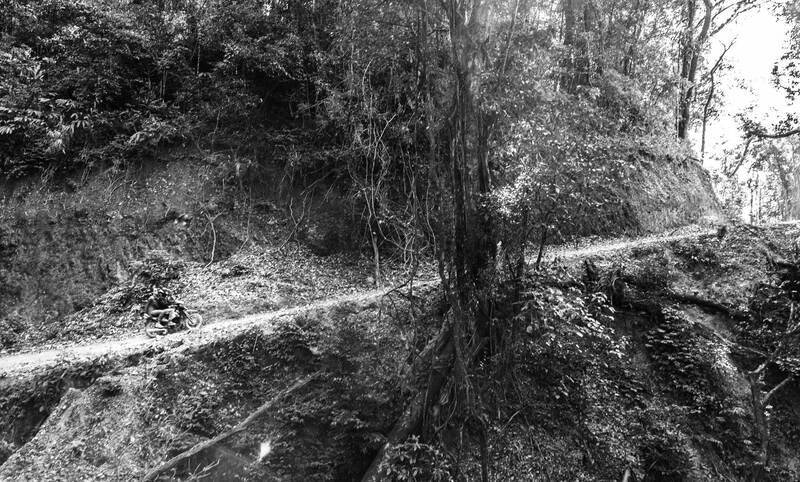 Having no roads makes for rough going — a few sections of the track are so steep that we have to get off the bikes — but this is the appeal. As we journey south towards Rakhine State, we experience diverse landscapes; at first, we take in panoramic views of the Chin Hills then find ourselves immersed in a pristine jungle of bamboo. Most of the region still lives in a pre-electrical age. 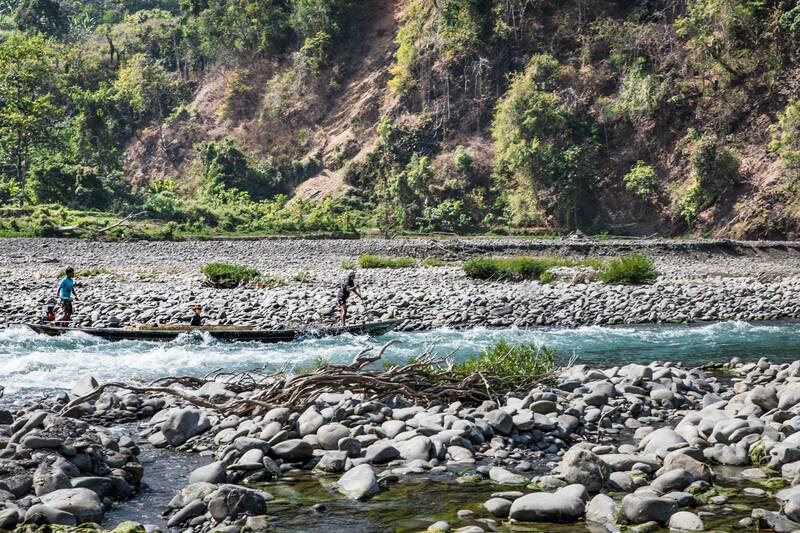 Among the 39 Chin villages, it’s possible to access two by car and ten by motorbike. The remaining 27 are only reached by hiking. Chin families are believed to have tattooed their daughters’ faces to make them appear less desirable, and less likely to be kidnapped by travelling Burmese kings who would want to take them for wives. The Burmese socialist government banned the practice of face tattooing in 1972 as part of its programme of modernisation. 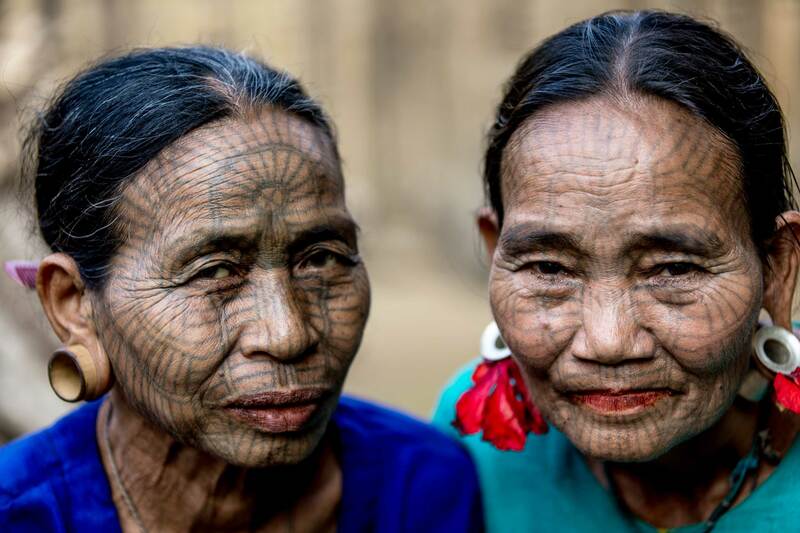 These elderly women are the last generation to bear facial tattoos; when they die, a chapter of Chin history will be relegated to the textbooks. We’re invited into several local houses, where I see family life for myself. The Chin people are incredibly warm and welcome us into their homes. We sleep on bamboo mats and take outdoor bucket showers. There is no electricity and the houses have bamboo walls and wooden stoops. I watch kids playing soccer. We are clearly objects of attention — this is the first time many of the villagers have come across outsiders. There is a genuine beauty to these villages, but it’s also hard to cope with the primitiveness of the place. Lying on the floor, as I struggle to fall asleep, I think of how I could have opted for a different type of trip. I find myself wishing the bamboo mat was a proper bed. But then I force myself to remember something I read about the ‘grease of luxury travel’ — how ease of access is directly proportional to a journey’s loss of intensity — and recommit to the principle of why I’m here: visiting Chin allows me to be immersed in living cultures very different to my own. 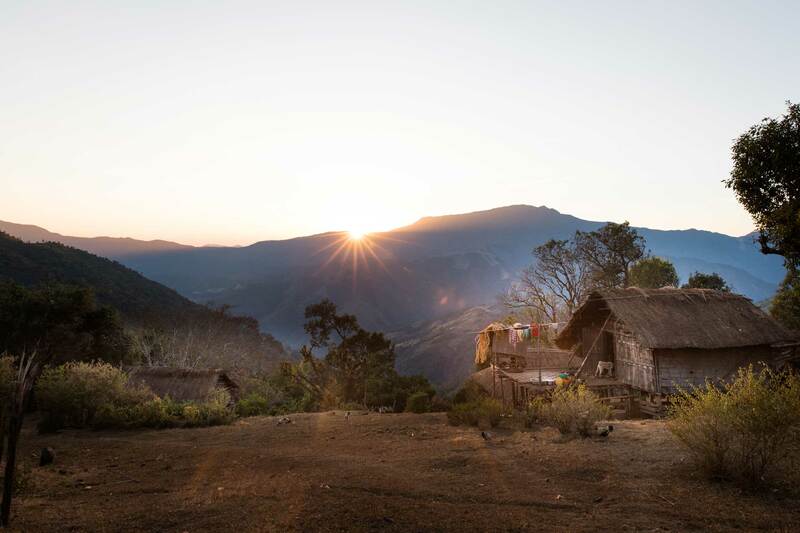 Here, in this forgotten corner of Myanmar, I have swapped luxury for something more simple, for an intimate connection with this foreign landscape and its people. Leaving the villages behind, we drive downhill until we arrive at Lay Myo River. From here, we leave our motorbikes and board a dugout canoe that will bring us over all the way from Chin to Rakhine State — another region with resurgent violence, but here the targets are the Muslim Rohingyas. We spend two days on the river, the only tourists in the area, absorbing it all from the canoe. The scenery is spectacular: pristine Lay Myo framed by the Arakan Mountains. I’m overwhelmed. We watch the river getting wider and calmer until it completely broadens out. We arrive at the jetty near Mrauk U, where we see the first signs of development. Travelling in this part of Myanmar isn’t about ticking off items on a checklist, nor is it about luxury lodges. To me, meaningful trips like this one are about engaging intimately and humbly with the land and the people. Myanmar has been held in a state of suspended animation for a large part of the 20th century and I feel inspired by the privilege of being able to explore it and afford a shift in my own perspective as a result.